Glad to see you started writing about your Philippine trip. Mom and Dad absolutely adored you and Dave. Why no fish meat in your sinigang? 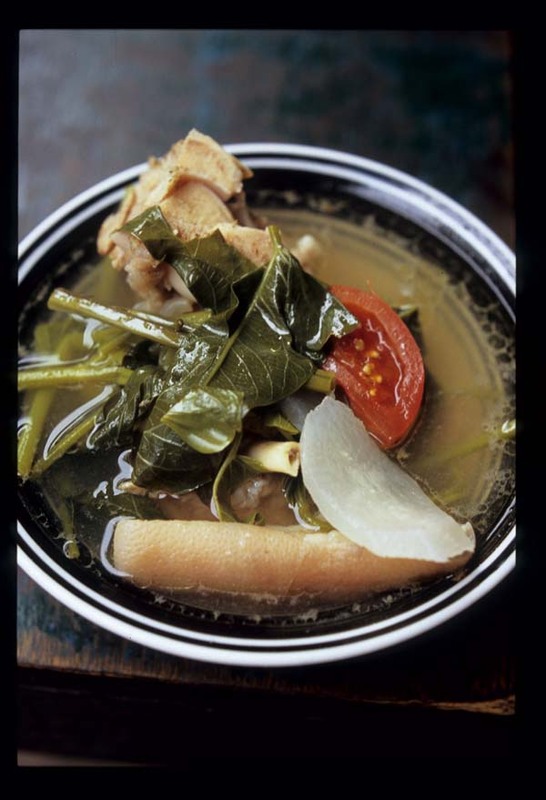 Fish sinigang is best with grouper or milkfish (bangus). I just cooked Pork sinigang for my sinigang-monster (youngest son Billy). He can eat a bowlful of sinigang and then ask for another bowl after he is done. Anyway, I look forward to seeing more pics and stories about my country. Oh will you be blogging on this in eGullet too? Hi, Robyn. Have been lurking for a while, greatly enjoying your posts. I am Filipino and sinigang is my hands-down favorite dish -- the best part is that it's easy to make outside the Phils, key ingredients are simple and easy to find. Could you please tell me where you found the Doreen Fernandez essay on sinigang? Thanks! The book that essay came from has been out of print for years. Someone seriously needs to put out new editions of her books. In fact, one could imagine a compilation of her most important, most seminal essays from a US press. These would include the visionary last essay in Tikim, which was first given as a paper at UCBerkeley, as well as her pioneering work (done in collaboration with Dr. Ed Alegre) on kinilaw. 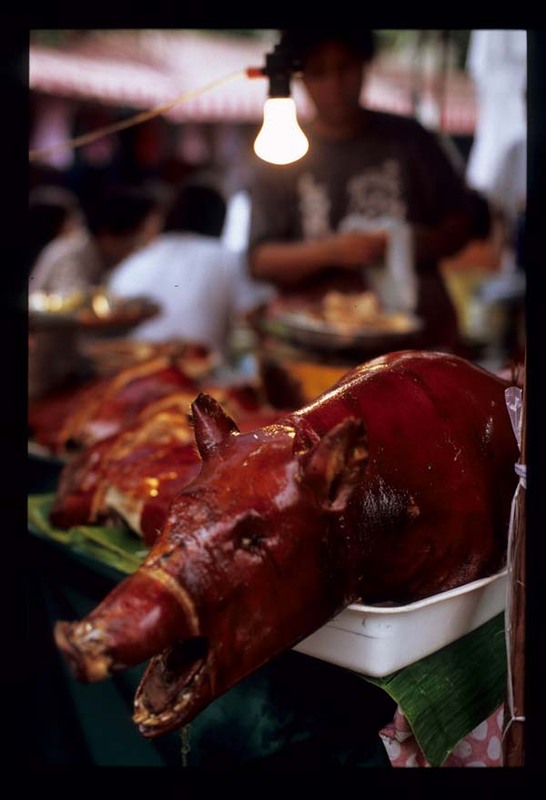 I was thinking of the essay "Colonizing the cuisine: the politics of Philippine Foodways" read to the American Folklore Society Conference at Berkeley in 1990. Oh yes. Sinigang. Comfort food to Filipinos worldwide. I always found that sinigang is ALWAYS better when made with tomatoes. That photo made my mouth water. I still think, though, that sinigang is best with pork. Hi Robyn, we Malay have this dish called Singgang. My grandma/mum used to cook for us. Yummy went eaten with a plate of hot rice fresh from the pot! It's a simple dish where you just boil any kind of seafood (normally fish) together with sliced shallots/onions, garlic and ginger. Finally ,add tamarind juice. We love sinigang as well, making it as often as every other week. It is good to eat when the weather is hot, and when it is cool outside too. Speaking about Doreen Fernandez interview in Gastronomica, if anyone is interested, there is a bookstore in Manila that is selling copies of that particular issue. Go to powerbooks at Greenbelt. I think it cost around P 500. Have been enjoying your posts for a few months now :) I am so glad you enjoyed Philippine food. Your kinilaw photo is droolworthy and brought happy memories of many summers spent at my grandparents' beachfront house, where my grandma would just hail the fishermen coming in with their catch! I have been in the US for years and have made adaptations of sinigang using whatever is available. My kids love it, and particularly like mashing the daikon into their steamed rice! 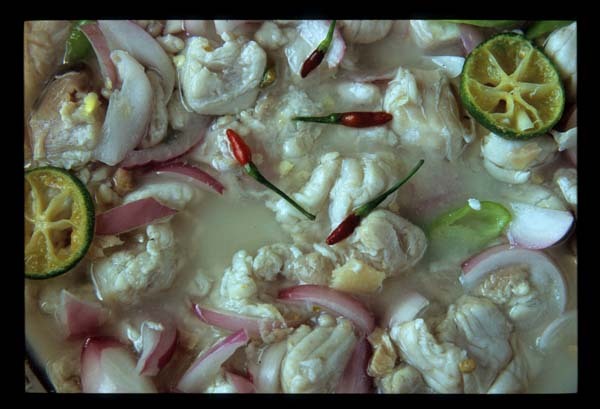 Yay for this post and the championing of Filipino food! I'm glad you discovered and enjoyed these delightful native dishes. I'm a huge kinilaw monster, and have even learned to make it the Visayan way (I'm assuming it's the visayan way because a visayan taught me hehe). Hi Robyn, so happy to see your beautiful pictures and stories about your Philippine trip. Been waiting forever for a serious food writer to take notice of our wonderful and varied cuisine. Count me one very grateful Filipino. Thank you for giving our people and our food the respectful and insightful reporting they deserve. Good topic on sour soup I'm from Iligan City, Mindanao Island of P.I. My mom is from Manila and she brought the sinigang to our kitchen in Iligan. 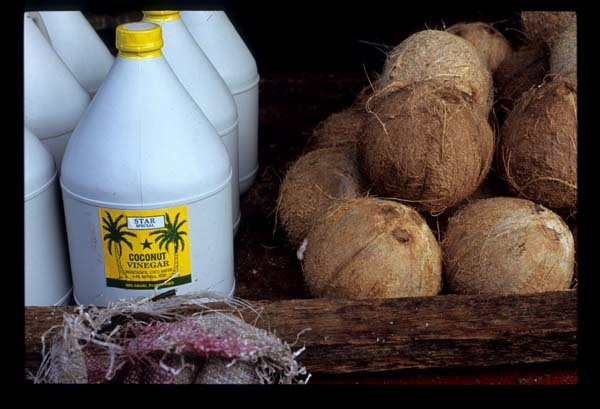 But the southern islanders also have their own version of sour soup. Which is called Inoonunan a mixture of ginger, garlic, vinegar & salt. It's only good on fish, it's cooked until it's almost dried out. 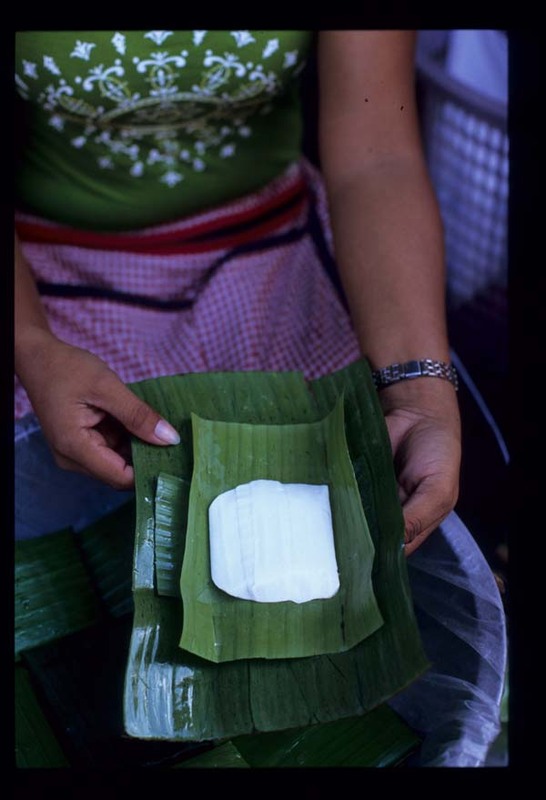 It's best done in banana leaves, smells really good. do you know where i could get a copy of why sinigang by Doreen fernandez? thanks. Achi - the book is out of print as far as I know. You may be able to find a copy on EBay.